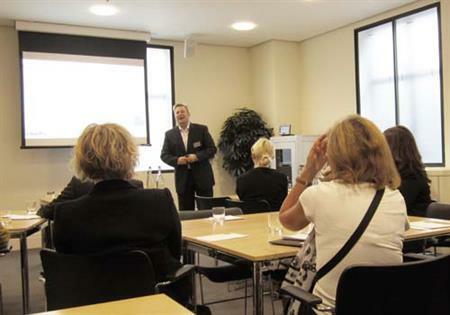 LinkedIn can be a great way for associations to find new members, according to networking expert Bert Verdonck speaking at ABPCO's event for in-house PCOs yesterday (September 25). Verdonck, who is co-author of How to Really Use LinkedIn, said: "Real power can be found in the people you are linked to by one degree of separation. If you are looking for new members LinkedIn might be an interesting way to look at it differently. "If you are looking for an extra 20,000 members for example, most of them will turn up in the second degree. The members you are looking for are probably closer than you thought." Fellow LinkedIn expert, Michael Clark, added: "Online methods can be used to increase awareness of our associations and social media has fundamentally changed the way that people like to buy and the way people make decisions. "Before the Internet we had to go down to the shops to find out about products and services, now we’re Googling things before we do it. Now that social media has come about we’re now not only Googling the way things are done, but we’re looking for recommendations and advice. "The evolution of the way we make decisions has gone to very advanced levels at the moment. Using Slideshare, for example, on your LinkedIn profile can be useful for people in your network. If you can give information away, it positions you as an expert and builds a relationship and allows people to engage with you in a low cost way." The Association of Corporate Treasurers now has more members in its LinkedIn group than actual members. Pauline Coulter, the association’s commercial director, said: "The association has 4,500 members, but we have 5,000 members in our LinkedIn group that we are engaging with daily." What do you think? Can LinkedIn really be used to gain more members?